It is summer time and there is so much of heat, sweat, and grime. 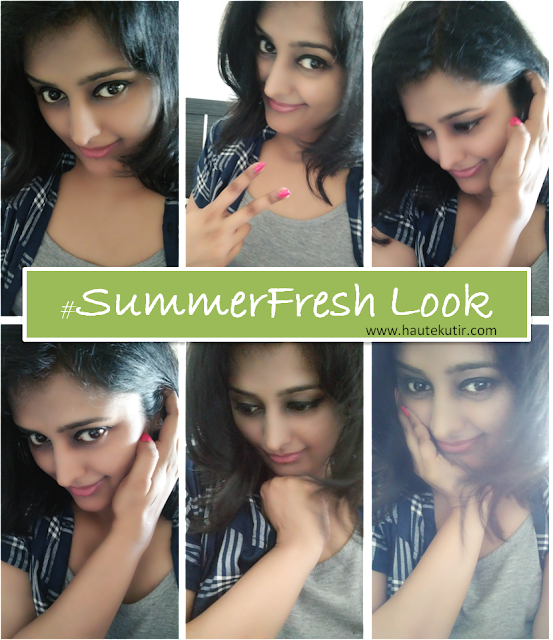 How to look pretty without doing much makeup? Well, that is the question that troubles every girl’s, every woman’s life who wants to look good, neat and presentable without much fuss. The flooding range of products in the market do not help much either. While some look for minimal made up, there are some who look for travel-friendly, economical stuff that has some brand value. 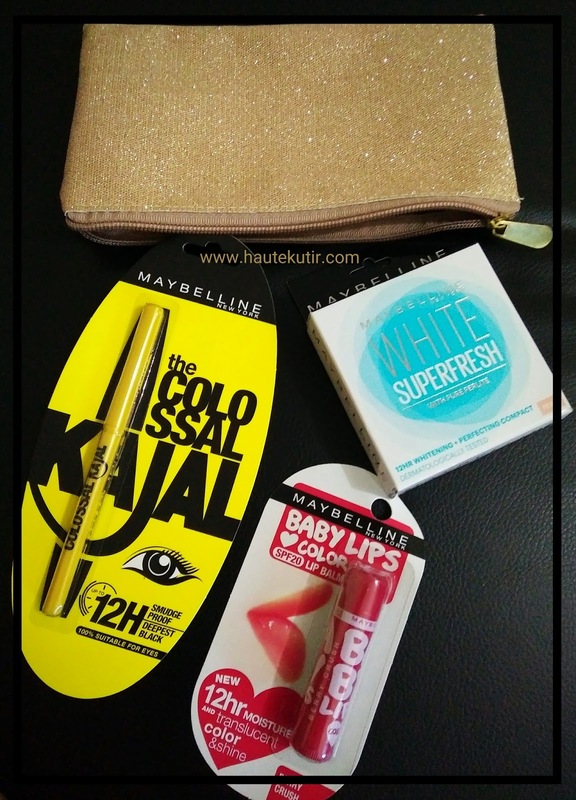 Maybelline is one such brand and it has come with a new summer essential kit for you. Baby Lips Lip Balm- Berry rush: This Lip Balm has SPF 20 and is mildly tinted. It provides moisture to your lips and is translucent in color. 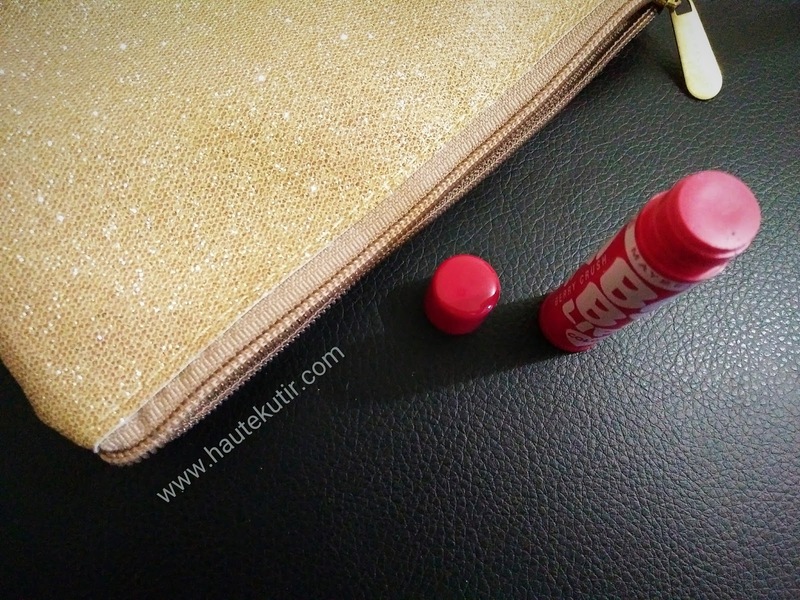 Rs 190 for 4gm chapstick like tube. 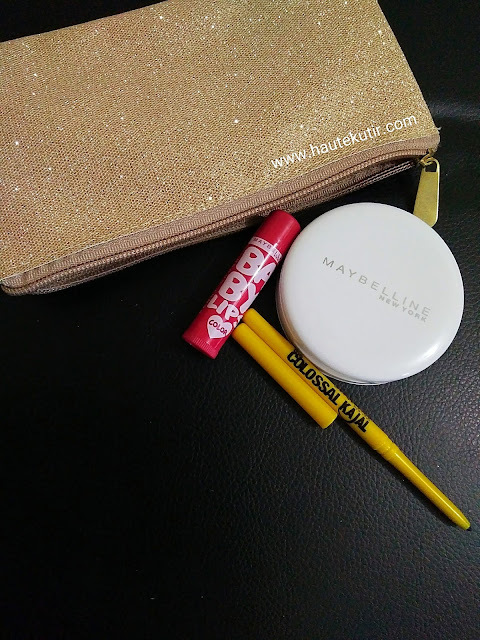 These 3 products come in a golden pouch and make for a good gifting option as well. 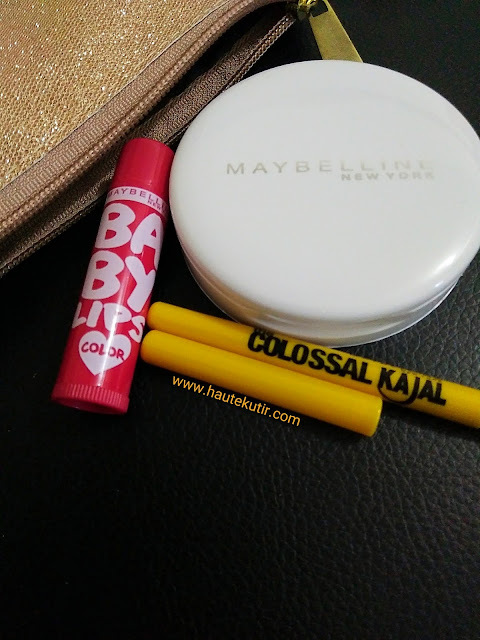 I am not a huge fan of lip balms but surprisingly my favourite product from the bag is The Berry rush Baby Lips Lip Balm. This followed by Colossal Kajal that has right shade, blend, and coverage of black. It makes a good option as an eyeliner as well. This time, I took a different shade of compact i.e. pearl. The shade is akin to my skin tone and has better coverage than Shell. However, it made my skin dry and flaky at times. Maybe I need to apply a little more moisturizer next time. I think it will be suitable for people with Oily skin. Ingredients detail not available on products- It is a must even though you may not check all the details. 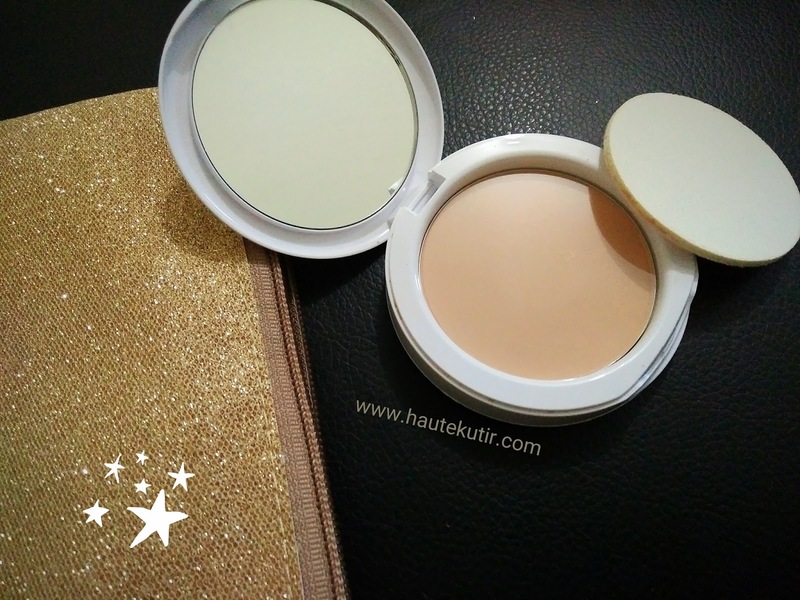 Haute Kutir Verdict: The kit overall, is a good buy. 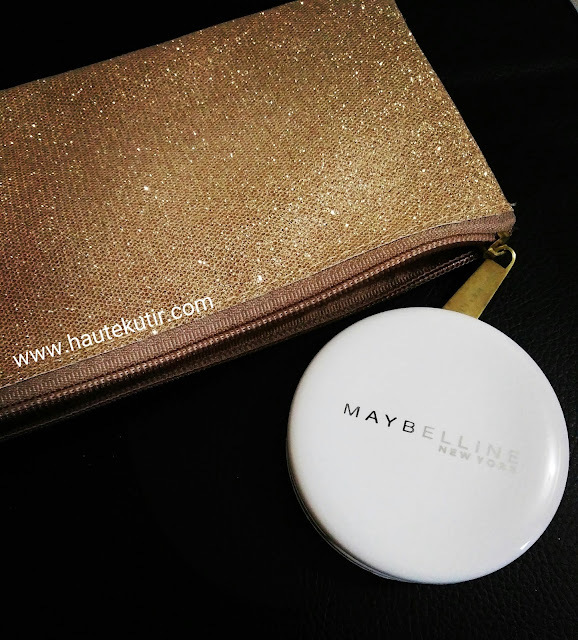 It has cleverly packed all the bare minimum products that you need for your everyday base look. Given the economical pricing, the product has good pick up value and selling proposition. It is a Value for money product and a great combo to kit up in your vanity box.